This show is a veritable pastiche of comedy podcasts from all over the interwebs as, each week, my self and our esteemed associate producer, Tyson Saner, get out there and harvest clips from shows both far AND wide. Sometimes comedy podcasters themselves even send along clips from their shows – which they are always welcome to do – after all, who knows their shows better than they themselves? In this show, Epi92, we have got not only a solid handful or so of clips but also an interview with three guys who are behind a show some Succotashians will have heard me mention before. The show — Speechless – is a live comedy show with a whole new format that’s been running San Francisco for the past year and a half. (Full disclosure: I’ve been a part of the behind-the-scenes action.) It’s beginning to get some real notice and it’s also starting to get out beyond the Bay Area. In fact, coming up on August 25th, Speechless will make its debut in New York. Very exciting stuff, and later on in the show I’ll have my interview with Sammy Wegent (who was our guest way back in Epi35, talking about his web series Everybody's A Comedian) and producers Scott Lifton and Anthony Veneziale. On tap this episode we have TWO Burst O' Durst segments with political/Cultural comedian Will Durst, a classic Henderson's Pants commercial, and our Tweetsack segment. One of the things we're playing for you in this epi is a teaser announcement from our friends at the Superego podcast. They will be back with long-awaited season 4 in September and, as part of the announcement, it seems that Paul F. Tompkins - who was a frequent guest with Superego in the past - is now a regular cast member. There was a LOT of action in that Top 100 list this week – those were just the top movers. Hop over to http://Stitcher.com and you can check it out yourself. Here are the comedy podcasts that we're featuring in this episode. To visit each show's homesite, simply click on the title to the show listed below. 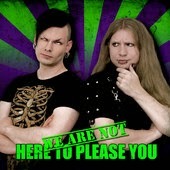 Okay, so this podcast that is not a comedy podcast per se. The host is not a comedian and the subject matter, although some it may venture into the comedy area, is also not about comedy. 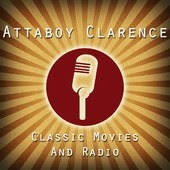 Nonetheless, the Attaboy Clarence podcast IS a funny offering, as served up by the host, Adam Roche. The focus is classic movies and old time radio shows – which, for my money, is the closest thing there has ever been, historically speaking, to podcasts. This clip is actually the opening to the show from recent episode 17, harvested by our AP, Tyson Saner, and recommended to us by both @Good_Podcasts and Megan M aka @PodcastWhore. I was not a fan or even a viewer of The Jersey Shore when it was taking TV by storm. Not a fan of reality TV at all, actually. (Mostly because I write for TV and why would I be rooting for content that gives me LESS of a chance of writing than I already fight against?) Anyway, Jersey Shore. Not a fan. Not really sure who Snooki is. Nor is she, apparently. She has a podcast now – so you KNOW podcasting is beginning to hit the mainstream – and even she can’t decide to call it The Snooki Podcast or The Naturally Nicole Podcast, because Nicole Polizzi is her real name. 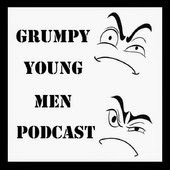 Tommy and Justin are a couple of Canadian lads who host the Grumpy Young Men podcast. And they grouse about everyday topics like movies, technology, business, and life in general. Like most of the podcasts featuring guys sitting around and chatting about stuff, they’re about as well informed as anyone else who gets their news from Twitter, Google, and web chatter in general. 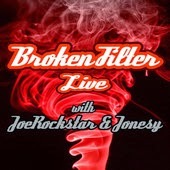 Got a request via the Twitter to check out a podcast called Broken Filter, hosted by Rockstar Joe and Jonesy. I get the feeling after checking out their site that they frequently have guests, although I clipped a chunk out of a recent show that featured just the two hosts together. (They actually do a “livecast” every Tuesday night at 8 PM EDT from Port Chester, New York, via video on ZenTV.tv, then audio podcast it later.) The clip we have features one of their usual feature, Random Thoughts. If you’re new to Podcastland you may not know that podcasting is truly an international phenomenon. And here on Succotash, we regularly features shows from all over the place, including the US, Canada, Britain, and Australia. I think THIS is the first time that we’ve gotten a slice from a show in Finland, all thanks to the hosts – Rafael and Arttu – suggesting that we give their show a listen. Our man Tyson grabbed a chunk from W-A-N-H-T-P-Y, that’s how it’s listed on iTunes. It stands for We Are Not Here To Please You and that’s a tough call which of those you’re even going to remember. Rafael is German. Arttu is Finnish. And their website says they decided to record a podcast “just for the hell of it.” Huh. I think that’s everybody’s story, really. But these guys do it in Finland, so that’s something different. 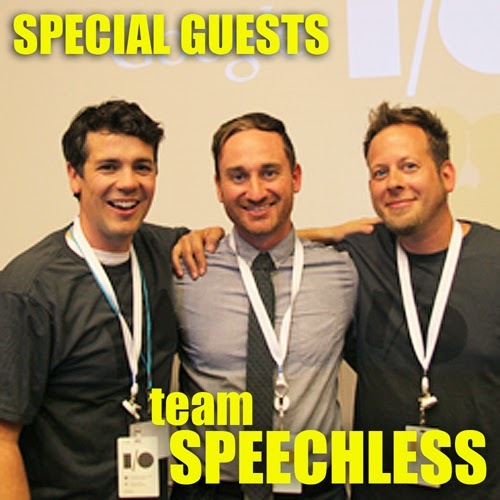 Their guest this episode is J. Scott Peter, who has something to do with the video game biz. That's it for Epi92. Feel free to help us out in defraying the costs behind doing this podcast. There are THREE different ways right on the Succotash homesite itself that you can use: The Amazon banner at the top of the page, the Donate button on the right-hand side of the page. Or the Succotashery - where our merch lives - also on the right-hand side. Little help?